Cabin rentals. Boat rentals. Camp fires, paddle boards and the great outdoors. Caddy Lake Resort has 6 cabins available that sleep from 6-8 people for rent from May to October. Caddy Lake Resort has a variety of rentals available to help you find that perfect fish or to enjoy a relaxing day exploring the rock tunnels to South Cross Lake and North Cross Lake. Caddy Lake Resort is surrounding by boating, fishing, hiking and biking trails. 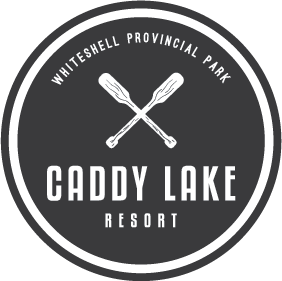 Caddy Lake Resort starts off the 2017 season under new ownership! We are working hard to make improvements to make your stay more comfortable and extend the booking season for you. We are accepting bookings now. We grew up at the lake and for the past few years have made the lake our home. We enjoy every moment we have at the lake and look forward to making your stay unforgettable! Caddy Lake is one of the many treasures of the Whiteshell. Our resort is surrounded by beautiful cottage country filled with hiking and biking trails. Caddy Lake offers boat access to South Cross and North Cross Lake. Our resort offers cabin rentals, boat rentals, sandy beach, fuel, boat docking and a store. We are located next to the Caddy Lake Campground. Contact us today to make your cabin or boat reservation because bookings are going fast! We are already starting to take reservations for next season!